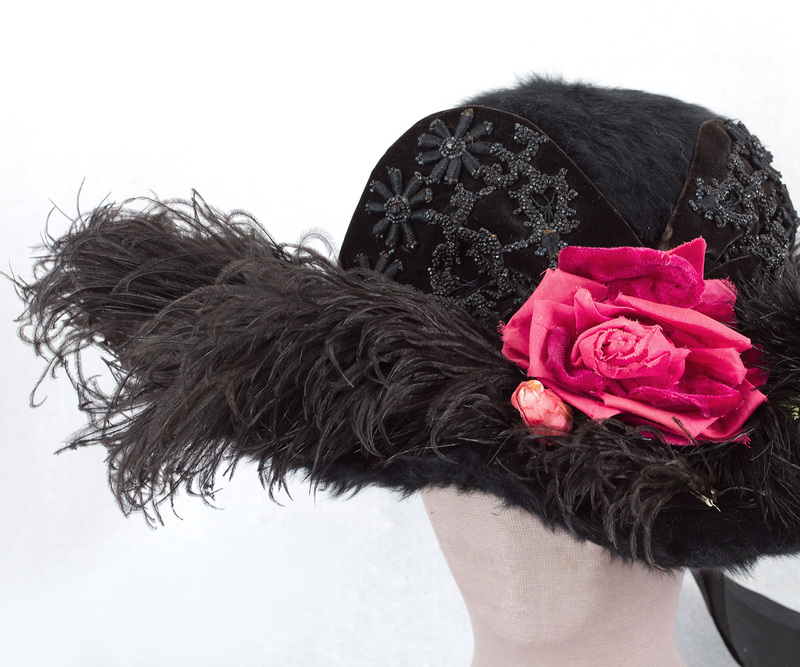 With wide brims and elaborate decoration, Edwardian hats are perennial favorites, reminding the viewer that fashion is theater. 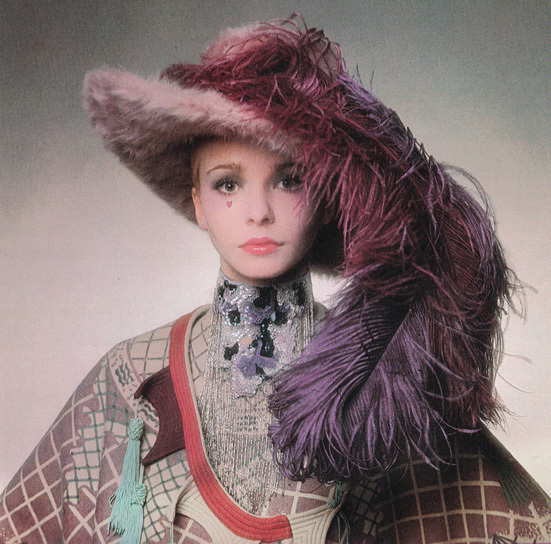 The ever creative Zandra Rhodes, a master of theatrical fashion, accessorized one of her printed designs with an Edwardian plush hat in the 1970s fashion shoot for Vogue below. 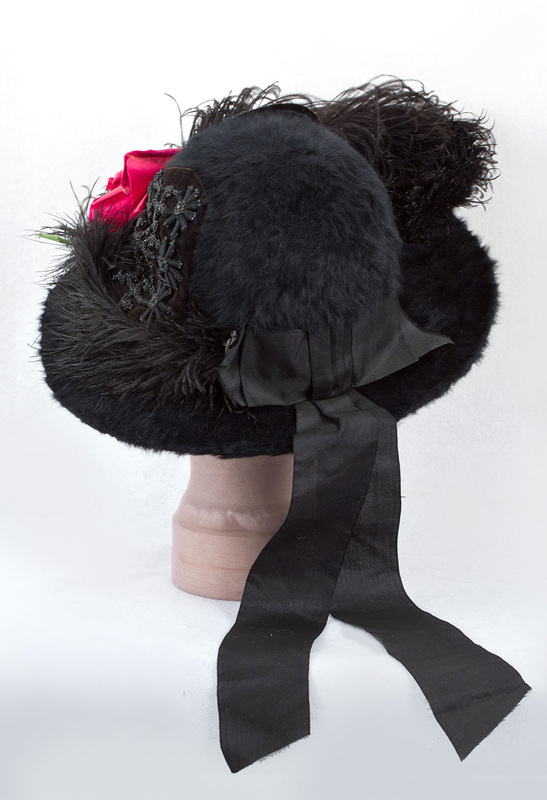 Our hat was made from black plush faux fur. 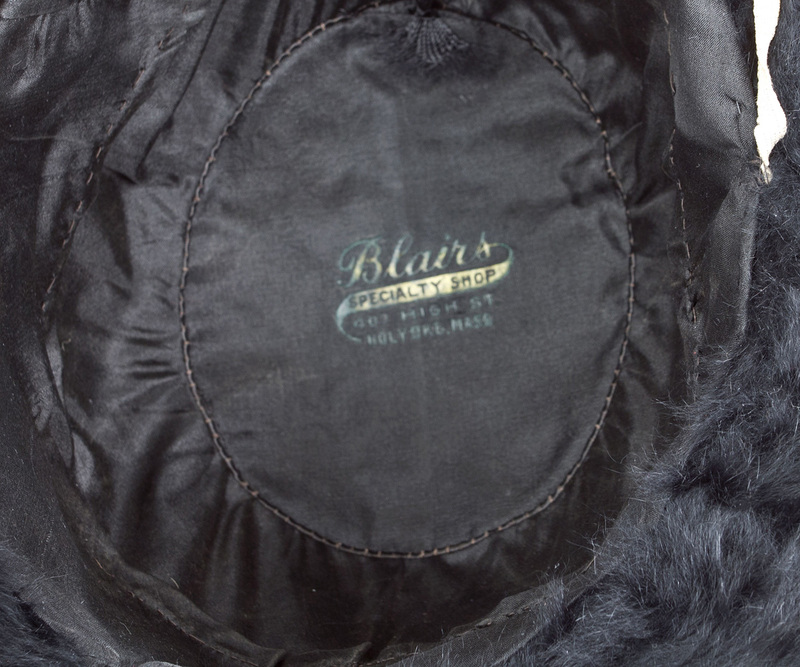 The crown is lined with black silk and is labeled "Blairs Speciality Shop/407 High Street/ Holyoke, Mass." 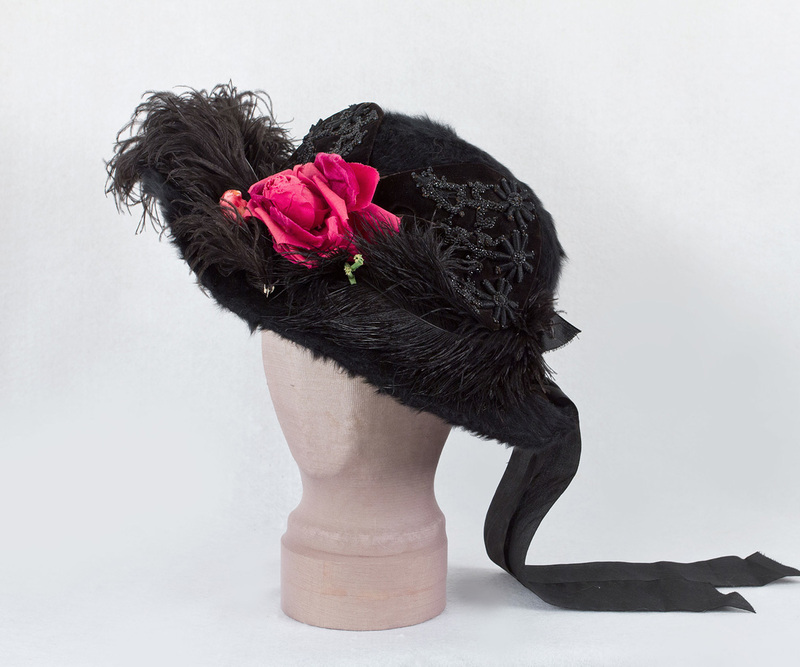 The hat is trimmed with beaded black velvet panels, a fuchsia fabric flower, a black gros grain ribbon bow, and the indispensable long ostrich plume. 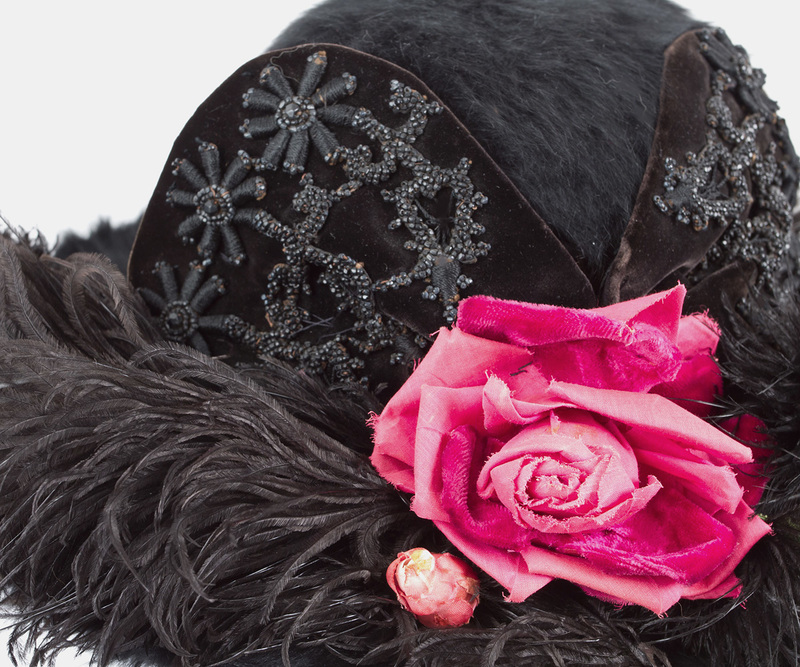 Gilberte was running as fast as possible in my direction, sparkling and red under a square fur hat, animated by the cold, the lateness, and her desire to play. 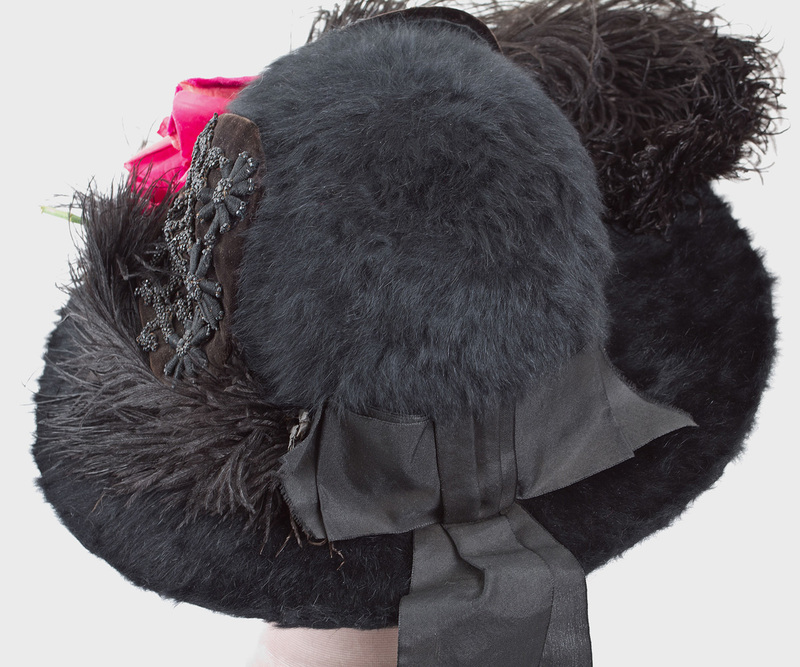 The brim diameter is 14". 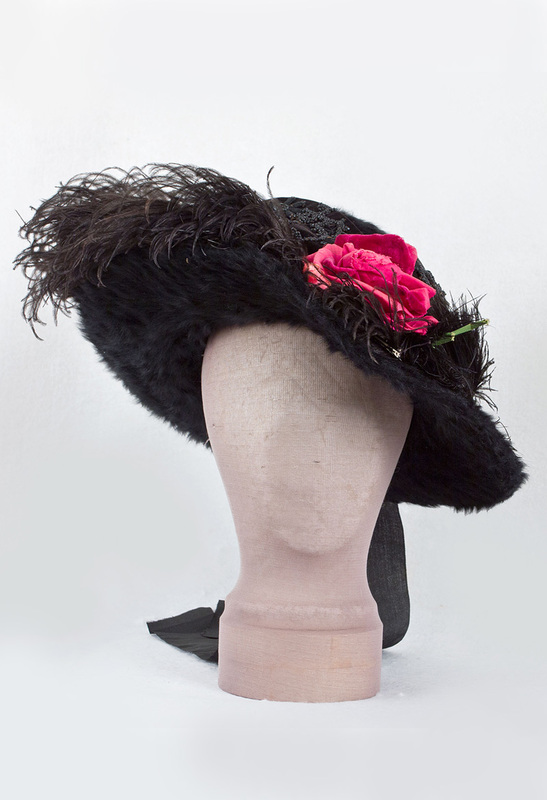 The inner crown circumference is 22".